I searched around a lot and this is the best deal I could find while trusting that is was actually 100% natural latex, and not synthetic, it comes rolled up, so you just need to unroll it, then manage to move it into place, it is like a very heavy pasta noodle. 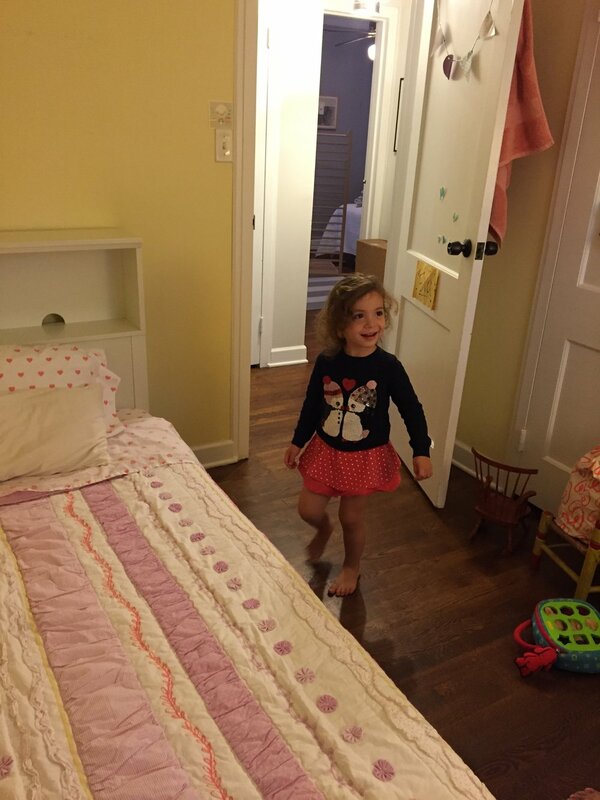 We bought the twin firm mattress, because of it being for a kid, per their recommendation. It is quite firm, but she seems to like it. I also figured we could purchase a mattress pad in the future if we wanted to soften it a bit. The quality of the cotton quilts from Pottery Barn Kids is really nice and they also sometimes have great sales of older models. The same goes for their sheets, these were a great organic cotton find. I liked the style of Pottery Barn Kids because it was soft and simple, but not too minimal so that it was fun and kid-like too. -Skirts: 100% stretchy waterproof polyester with TPU* coating. *TPU is the agent that provides the waterproof, stain proof coating and is FDA approved and used in food packaging as well as diaper industry. It does not off-gas any harsh chemicals as the other protectors in the industry.